Window signs offer an excellent opportunity to promote your business or products and share information with customers. From displaying store hours to dressing up your store or office space, there are many, many options to make the most of your window space. Call us for a free estimate today! 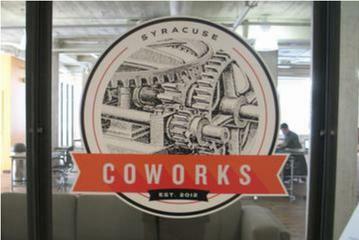 For 18+ years, when businesses and organizations have needed window signs near Syracuse, NY, they've relied on the craftsmanship of Salt City Signs. 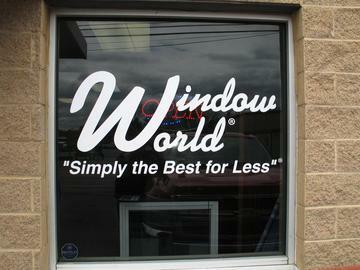 When you get window signs from Salt City Signs, you can be confident that your business signs are built to last. In addition to a durable design, window signs from Salt City Signs provide attractive visual messaging. Our window signs are customized to your exact specifications. This ensures that your window signs are consistent with your branding, bringing your vision to life. Whether you know exactly how you need your window signs to look, or you need some creative direction from our experienced professionals, we can make it happen. Some people refer to our window signs as window decals. Window decals are a great way to brand your business. In addition to helping people know that they've come to the right place, window decals provide the best possible first impression. Window decals are a great way to prominently display your branding. Whether you need window decals with your logo, or window decals that are intended to catch the eye of potentials, Salt City Signs has the experience and creative capabilities to make it happen. Window stickers from Salt City Signs are both durable and easily replaced. Use window stickers to promote sales, or specific products or services. Sometimes when businesses are searching for window stickers or window decals, they're looking to brand company vehicles rather than their storefront or office. You've come to the right place! Salt City Signs has the experience and professional capabilities to create a car wrap or vehicle wraps. 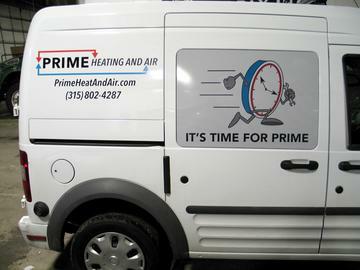 Customize your company vehicles with a car wrap, truck wraps or vehicle wraps.